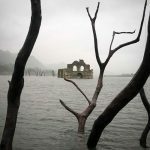 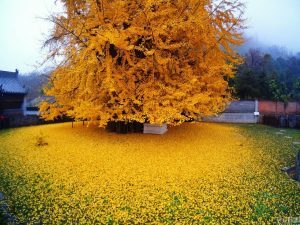 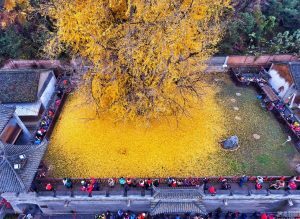 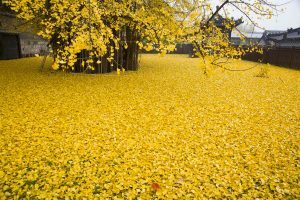 Deep in the Zhongnan Mountains of China, fenced off by the walls of the Gu Guanyin Buddhist Temple, grows a 1,400 year old Ginko tree. 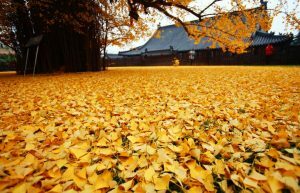 Every fall, the ancient tree blankets the surrounding grounds in golden-yellow leaves that transform the surrounding landscape into a spectacular sight. 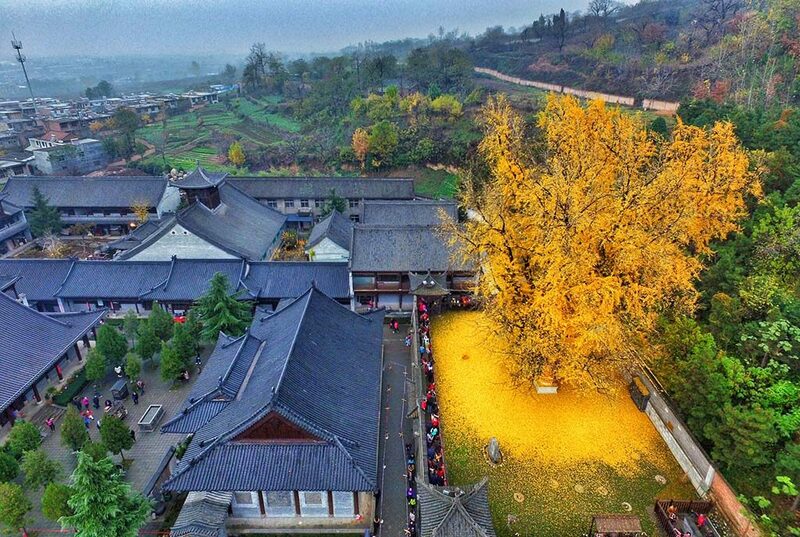 The sight is so impressive that tourists come from all over the world, just to get a glimpse of the foliage turning.